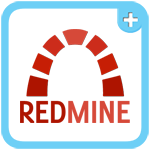 Redmine is a free and open source, web-based project management and bug-tracking tool. IAANSYS Redmine is a pre-configured, ready to run image for running Redmine on Ubuntu Linux EC2. Redmine is a free and open source, web-based project management and bug-tracking tool. It provides many of the features in Trac plus support for multiple projects, role based access control, time tracking functionality, Gantt charts, a calendar view and user self-registration support. IAANSYS Redmine is a pre-configured, ready to run image for running Redmine on Amazon EC2. Start best configured Redmine server in minutes. applied Varnish HTTP accelerator and fast NGINX web server with Passenger for Redmine.